Aging populations and rising patient expectations in conjunction with increasing budget constraints for healthcare and social care demand innovative solutions. Patient safety, satisfaction, and empowerment are overall objectives. For the continuum of care, it is essential that clinical and care teams are well-connected with the individual patient/person and that the staff collaboration is well-organized, strictly around people in need of care. Integrated workflows instead of “island approaches and solutions” are another important prerequisite. 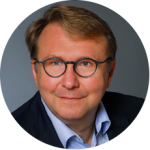 Ljubisav Matejevic is the founder and president of the Global Clinical + Care Coordination Forum. Since 1991, he has been active in the healthcare, life science, and public health industry in various executive roles for globally operating enterprises. Due to his multicultural background, MBA at the University of Warwick, studies of human medicine, his degree in engineering, and his long-term professional experience, he is a recognized Trusted Advisor of many stakeholders and decision makers worldwide. Ljubisav Matejevic has regularly been invited to chair workshops, roundtables, and sessions with public authorities, academia, and industry healthcare leaders. He has initiated and conducted the Global E-Health Forum and the Baltic Conference on E-Health. Also, he published a variety of research papers and articles ( e.g. co-author of “Integrating Health and Social Care – a global perspective of experience, best practice and the way forward” and “Social determinants and their impact on healthcare”). The vision of Ascom is to close digital information gaps allowing for the best possible decisions – anytime and anywhere. Ascom’s mission is to provide mission-critical, real-time solutions for highly mobile, ad hoc, and time-sensitive environments. Ascom uses its unique product and solutions portfolio and software architecture capabilities to devise integration and mobilization solutions that provide truly smooth, complete and efficient workflows for healthcare as well as for industry and retail sectors. Healthcare DENMARK is a public-private non-profit partnership and has a unique national and political mandate to promote Danish healthcare excellence and visibility internationally. We organize delegation visitor programs tailored for foreign decision-makers and welcome foreign press delegations. We give you the opportunity to experience innovative healthcare solutions in practice and meet the people behind, all part of an extensive network of public and private actors. Her Royal Highness Mary, Crown Princess of Denmark is patron of Healthcare DENMARK. Roland Berger GmbH is one of the world’s leading strategy consultancies owned by over 250 partners today. Since 1967 we have been supporting internationally important industrial and service companies as well as public institutions in all questions of corporate governance – from the strategic (re) orientation to the introduction of new business processes and organizational structures. Roland Berger is organized according to functional and industrial competence centers in matrix form. Our competence center pharma & healthcare serves clients from the healthcare and life sciences area (provider, payor, pharma, medtech and policy) in strategic and operative issues. Fundació TIC Salut Social is a public agency within the Catalan Department of Health whose aim is to facilitate the transformation of health and social care models by means of Information, Communication and Technology (ICTs). The Center for Innovation in Medicine is a non-governmental organization which has the aim to shorten the time between the emergence of innovations in the medical sector and their application for patients benefit in Romania and elsewhere. It develops programs to educate and inform all audiences about innovation in medicine in an attempt to create a friendly environment for early adoption of innovative technologies, ideas, products and services. Koch Metchnikoff Forum (KMF) is a German-Russian association active in the health care sector. KMF works in agreement with health ministries of the Federal Republic of Germany and the Russian Federation within the scope of the German-Russian Modernization Partnership and and within the framework of the German-Russian bi-ministerial agreement on cooperation in health of 2010. KMF’s aim is to implement scientific research results into practice and to harmonize the Russian healthcare standards with the German ones. The ISDSG is a service area of the Compliance Providers DATATREE AG and deals with all matters relating to information security and privacy with an emphasis on healthcare stakeholders. The portfolio of ISDSG includes freely accessible information and services especially for healthcare. 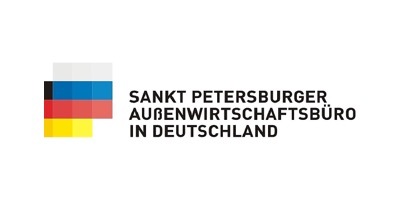 The St. Petersburg Foreign Trade Office is the leading company for stakeholders of German-Russian relations. Our agency advises supports and represents German and Russian companies from the first step in the Russian market to the establishment of their business and daily business. Focus areas of activities are healthcare, pharmaceuticals, bio and medical Technology. With more than 50,000 students, FOM University of Applied Sciences is Germany’s biggest private institute of higher education. It has been accredited by the German Council of Science and Humanities. Offering professionals the chance to gain a state-recognized university degree without having to give up work or restrict their professional activity – this has been the objective of FOM since its foundation in 1993. GHD GesundHeits GmbH Deutschland is Germany’s largest provider of homecare services, offering integrated, high-quality services for customers, nursing staff, caring people and patients. Qualified specialists provide consultation and support, and deliver medical auxiliary devices as well as pharmaceutical therapies in line with consistent care standards to patients and clients in many therapeutic areas, e.g. enteral or parenteral nutrition, ostomy, wound or tracheostomy care. Lithuanian Junior Doctors’ Association (“Jaunųjų gydytojų asociacija” / JGA) is a public organization uniting young healthcare professionals in Lithuania, representing and protecting the national healthcare interest. JGA strives for young doctors and other healthcare professionals to be proud of their profession by working in a transparent, secure, unified, efficient and innovations driven healthcare system that provides the best quality services to the patient. OptiMedis AG manages a group of regional Integrated Care Delivery Systems located in rural and urban parts of Germany, the Netherlands and the UK. For more than 10 years, OptiMedis has managed the ACO “Gesundes Kinzigtal Ltd”, successfully improving population health outcomes (including, improving life expectancy 18 months compared to matched populations) patient experience and reducing per capita cost – evidenced by multiple independent scientific Evaluations. The VDE|DGBMT – German Society for Biomedical Engineering in the VDE – is with more than 2,500 members the largest scientific and technical society in medical engineering in Germany. It promotes the development of medical engineering in a non-profit way. It was founded in 1961 in Frankfurt am Main.